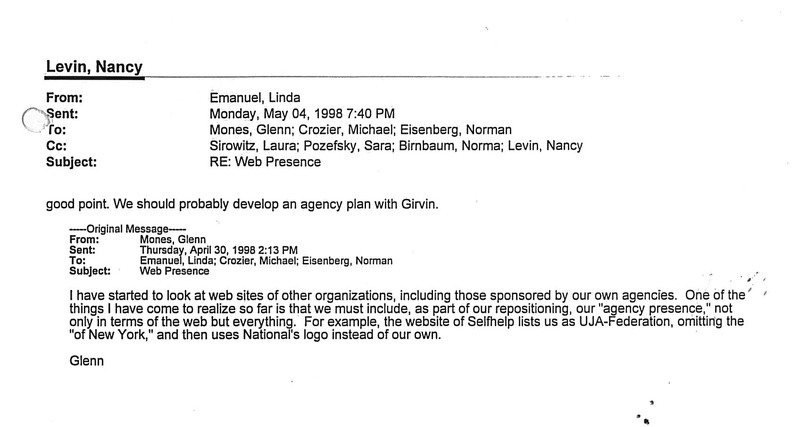 In the course of processing some Marketing and Communications (the department previously known as Public Relations) files from the 1990s, we discovered what we believe to be the earliest mention of UJA-Federation’s website. 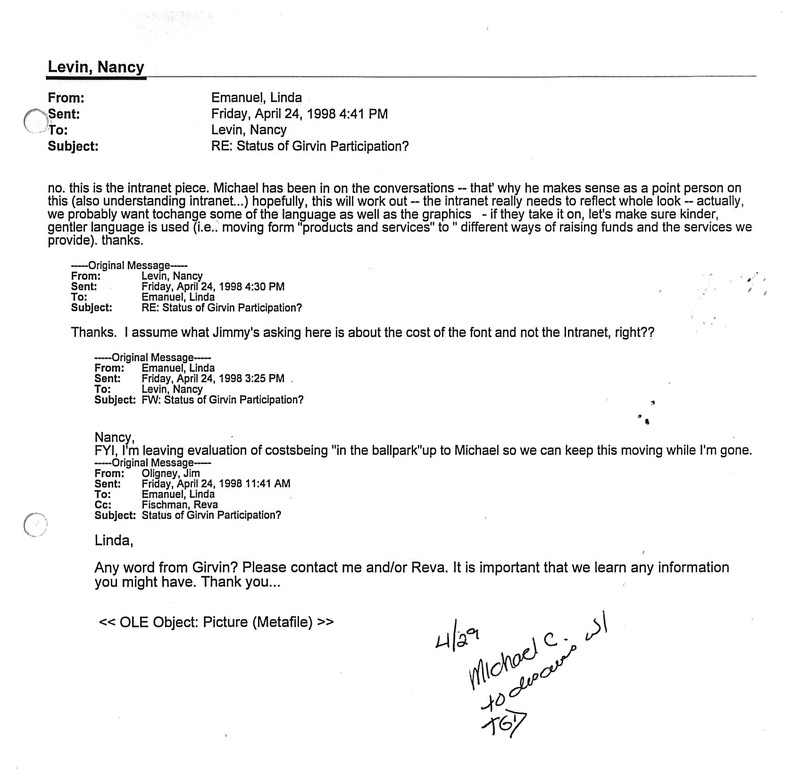 The two emails below document some early discussion in the department about initial creation and brand planning of UJA-Federation’s website. They are both dated 1998, a year in which only 1% of Internet users in the United States had broadband. A check of the Internet Archive Wayback Machine notes October 17, 2000 as the first date that UJA-Federation’s website was crawled by the Wayback Machine, so we can conclude that it took up to two years for UJA-Federation to plan and implement their website. For more information on the history, development, ascendance, and refinement of the World Wide Web, check out this comprehensive timeline.